Your best times go up on the ladderboards. That wasn’t a typo. The game plays as simply as you could hope. 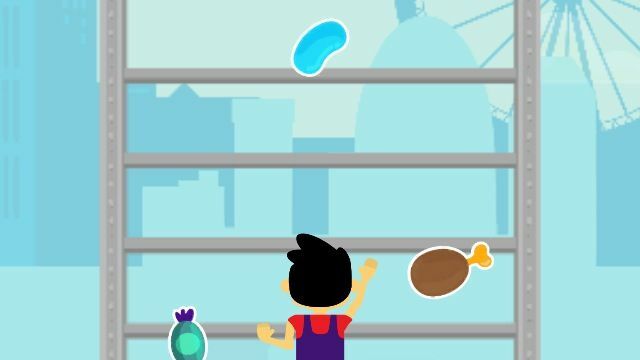 The kid handles the climbing, and you swipe left or right to eat or avoid the food and objects plummeting toward your face. The things are level-specific, so while you might be catching cups of tea and avoiding double-decker buses in London, in Paris you’ll be nomming on baguettes and looking out for high-heeled shoes. It’s a cute and surprisingly challenging fun time. 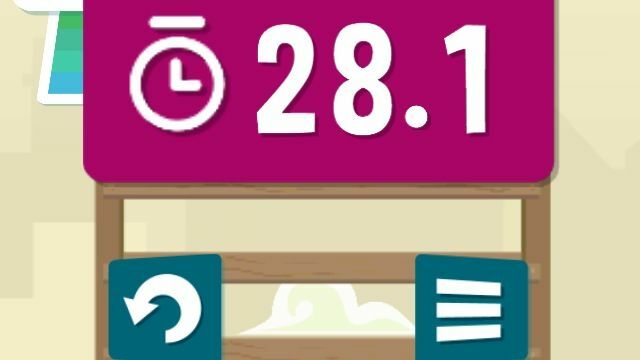 As you eat food, the meter in the top-left corner fills up, and you go faster. But if it gets too full, your kid becomes too fat to keep up his pace and slows down. So sometimes you have to eat the candy for a quick boost, but you also have to figure out when to switch to the carrots and stuff. London is free, and you can unlock the other five cities for 99 cents each. According to the App Store page, all proceeds go to benefit London’s Great Ormond Street Hospital Charity. 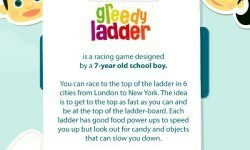 Even if you don’t drop any money, Greedy Ladder is a cute and surprisingly challenging fun time. The Good: Cute, challenging and benefits charity. The young designer provides all sound effects, which is precious. The Bad: May not appeal to people who don’t care about finding The Perfect Run. The Verdict: It’s worth checking out for the youthful charm alone, and it’s also very enjoyable as a game.